The end of summer can be the perfect opportunity to "seal" your home to keep insect invaders away. 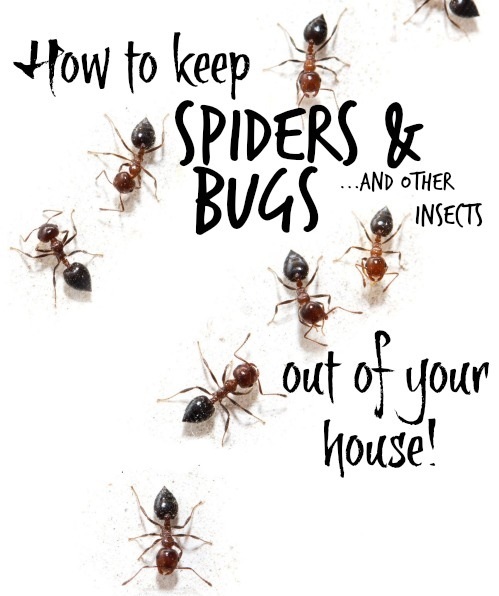 According to specialists, there is a lot you can do to prevent unwelcome guests such as wasps, spiders and termites. -Inspect the inside and outside of your home to make sure your window screens are in good shape. Also, check for cracks around windows and doors. Such problems can be repaired with caulk or hardware mesh. -Look for small areas that bugs could use as shelter. If your crawl space access door doesn't fit properly, the gap could offer a home for pests. Pipes, dryer vents and utility wire holes should receive detailed inspection. -Trim tree branches that are close to your windows and doors to keep them from working as access bridges to your home. Vegetation should be at least 3 from your home. -Make sure the siding is not in contact with soil or mulch and store firewood away from your home. -Insects are more likely to migrate to an environment that offers food and shelter, which means keeping your home clean will help repel them. Remember to take the trash out regularly and always keep garbage cans clean with tight lids. After cooking or eating, wipe surfaces such as tables and counter-tops .